The crimson sun sets over the sleepy town, bowing in a reddish orange hue over the magnificent fortress bringing every stone of its existence alive. The Banas River becomes still and the water reflects the unending wrath of calmness in the sky and the whole forest comes to a halt as the gorgeous big beast bends low into it to quench the day’s thirst. The birds fly away and the deer run afar in leaps as the tiger propagates his grandeur in an aura of elegance and grace. 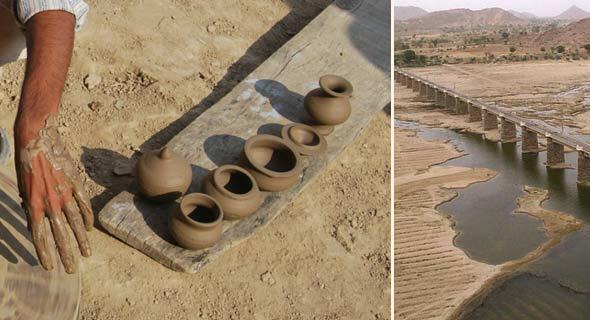 A villager comes to wash a basketful of black pots and glasses to the river; a potter, perfectly fit in the ecosystem of the forest and many uses of the little river flowing through the desert state of Rajasthan. The town has seen many historic episodes and reigns. 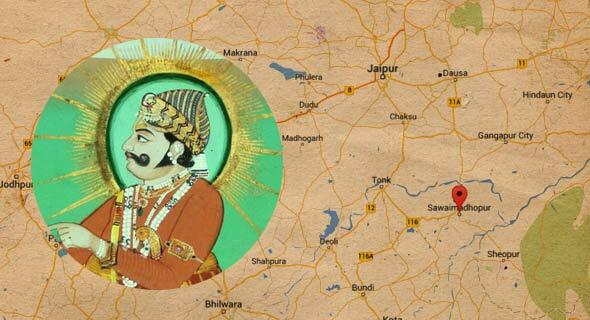 Passed on from the Chauhan Rajput king, Govinda to Vagabhatta, from Rana Kumbha to Akbar and Aurangzeb, the city has been patronized by almost all the rulers. Beautification and renovation of the city has been regularly undertaken in almost all the regimes. The city derives its name from Maharaja Sawai Madho Singhji I who is believed to have given the city its current plan in 1765 AD. The former Karauili State was integrated into Matsya Union, the March 17th 1948, which later merged with former Jaipur State to form the United State of Greater Rajasthan on the 15th May 1949. 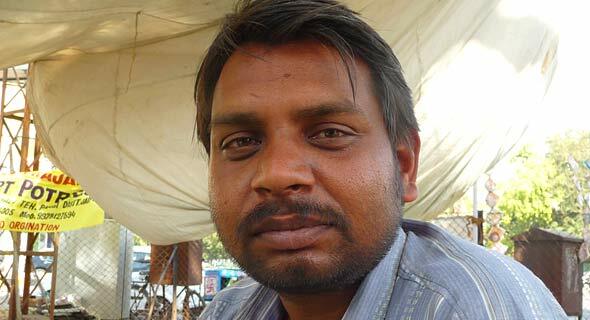 With the passing of time, Sawai Madhopur in itself has witnessed and nurtured a whole range of handicrafts practiced by the local artisans and this sector has flourished after facing a lot of hard times. 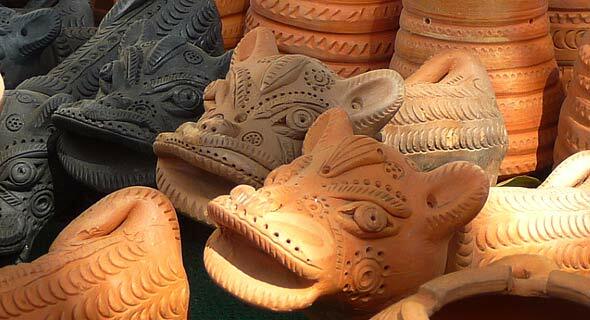 One such craft of the region is the very unique style of pottery that they make. The pottery they make is black in colour and is made in a very special way. The mitti, (clay) taken from the banks of the nearby Banas River is cleaned thoroughly, the unwanted stones and straw removed from its consistency. The clay is then stored and used as and when required. 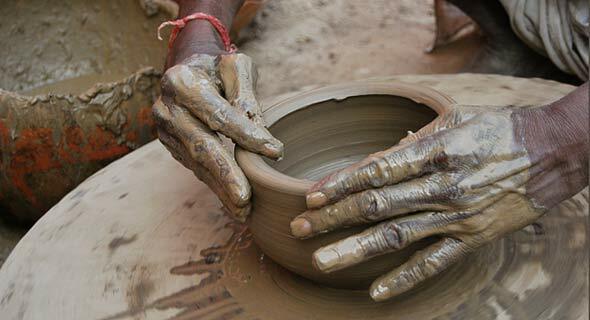 An Approximated quantity of prepared mud is placed on the wheel and turned beautifully by the potter, and a shape as desired is achieved with much finesse. The form is cut out of the wheel from the bottom, using a length of ordinary thread. The potter, skilled with the usage of his hands, manually shapes and polishes the product, till he smoothens it out. The turned and polished product is dried in the sun for two hours, in the shade for another two and finally fired. 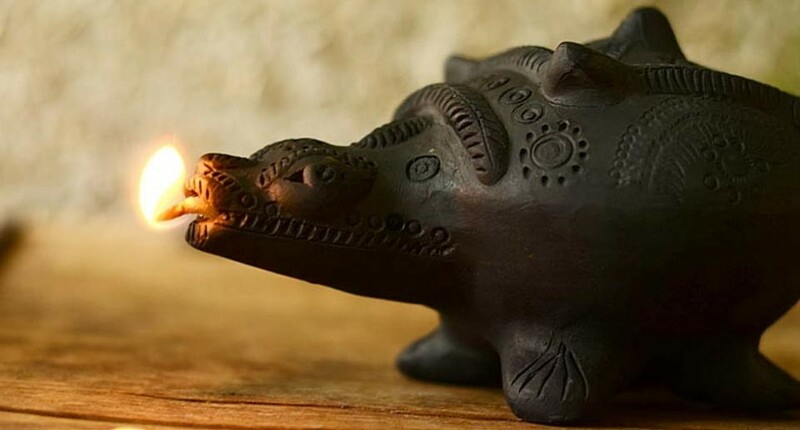 The small community of kumbhars- the traditional potters, at Sawai Madhopur create a wide range of decorative figurines, paperweights and plaques of animals and deities in addition to the usual array of pots. Skillfully embossed and variedly structured, the beauty of this pottery lies in the love that the artisan puts into it and their story of revival from a completely damaged financial scene. The polishing of the terracotta wares before firing is what gives the end product a sparkly finish. When the firing is almost coming to an end, the artisan seals all the vents of the kiln, allowing a smoky atmosphere to be created inside the kiln, giving the pottery a greyish black hue, very centric to only Sawai Madhopur. A respect for these art maker and art keepers. To be proud of these pottery Indian art. Thanks for showing this part of India.